Janet Dawson is a pioneer of colour field painting (a form of abstract painting) in Australia. In 1973, she became the third woman to win the Archibald Prize, with a portrait of her husband – the actor and playwright Michael Boddy. ‘I wanted to capture something of this intellectual gaze in my study of Janet. 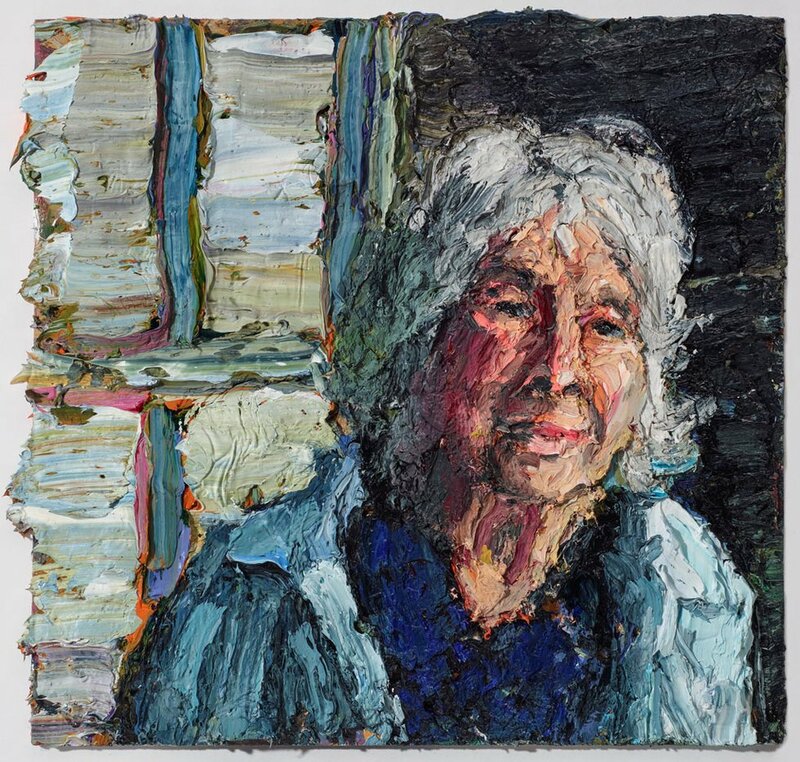 I have used a heavy impasto layering of oil paint to evoke the layered complexity of Janet, whose warm and expressive face is just the outer layer of one of our most accomplished and talented artists,’ says Frost. Born in Sydney in 1967, Frost graduated from the National Art School. He has travelled widely with exhibitions, research trips and residencies in Melbourne, New York, Texas, Brasilia, Beijing, Hong Kong, Tokyo, the Arctic and Antarctica. He won the Kings Art Prize in 2003 and has been a finalist in various art awards. This is his first time in the Archibald Prize.